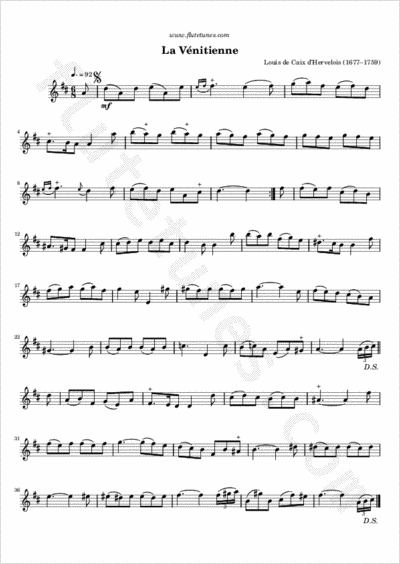 This piece was composed around 1730 by French Baroque composer and Louis de Caix d'Hervelois. Caix d'Hervelois wrote music almost exclusively for the viol, but most of his music has been transcribed for other instruments as well. Thanks to Mag for suggesting this piece!